A couple weeks ago, we had the opportunity to attend an artist talk from Barry McGee at the Museum of Contemporary Art Santa Barbara where his solo is currently on view through this weekend. 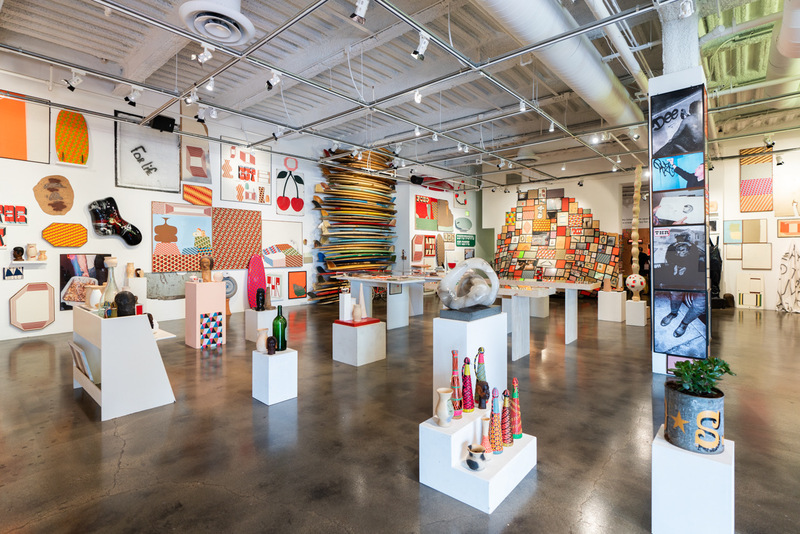 SB Mid Summer Intensive features an expansive selection of paintings, photographs, drawings, and sculptural objects from the renowned San Francisco-based artist. 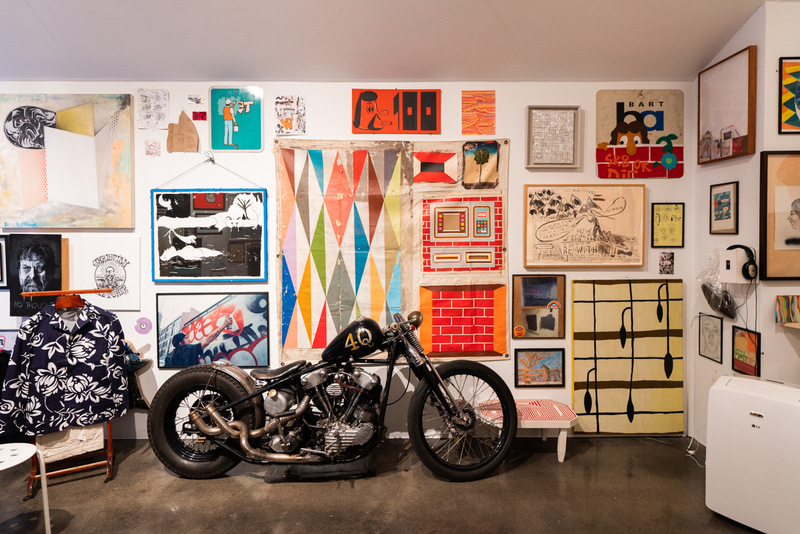 Those familiar with McGee’s work will know his attention to detail in the installation of his exhibitions is an artform in and of itself. 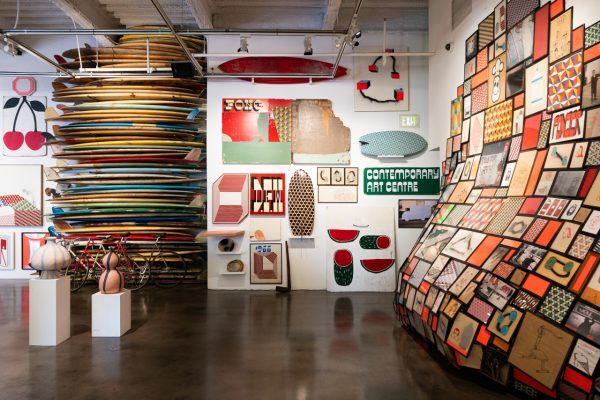 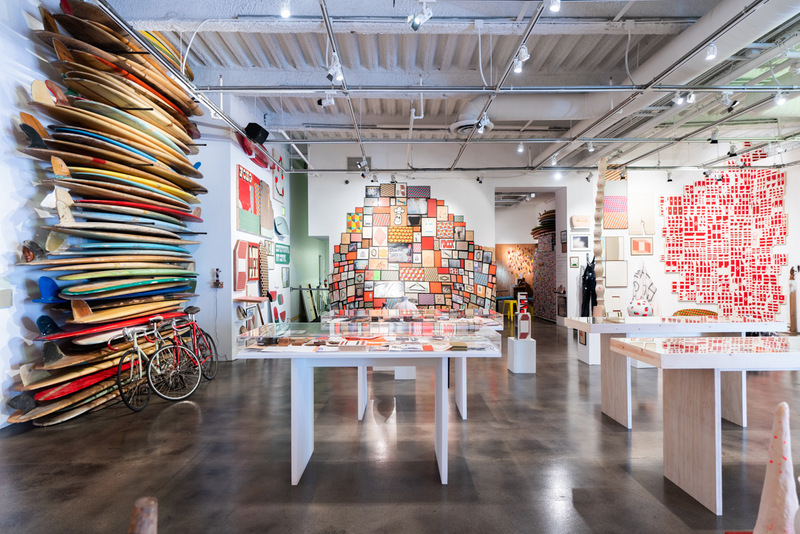 This showing continues in that vein with clusters of his works carefully juxtaposed among found objects and other ephemera like stacks of surfboards shaped by the legendary Reynolds Yater, a nod to the local surfing community. 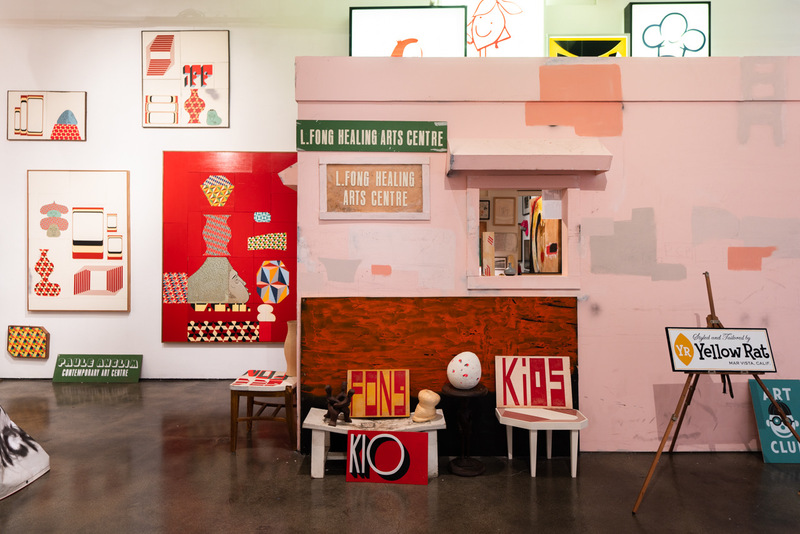 Photo credit: James Ng for Arrested Motion. 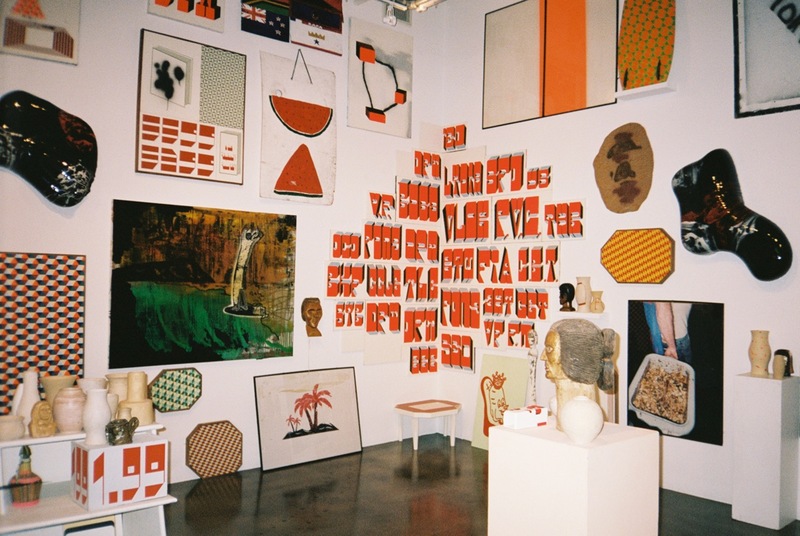 Categories: Installation, Museums, Sculpture, Shows & Events, Street & Urban Art. 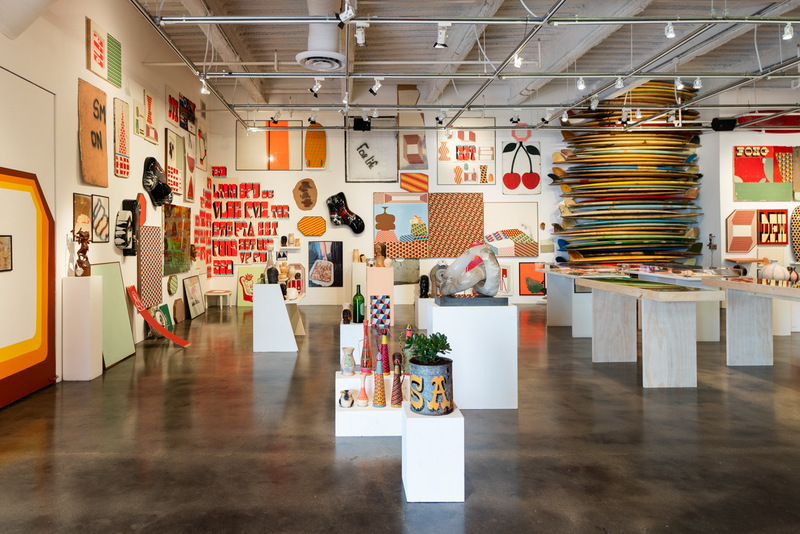 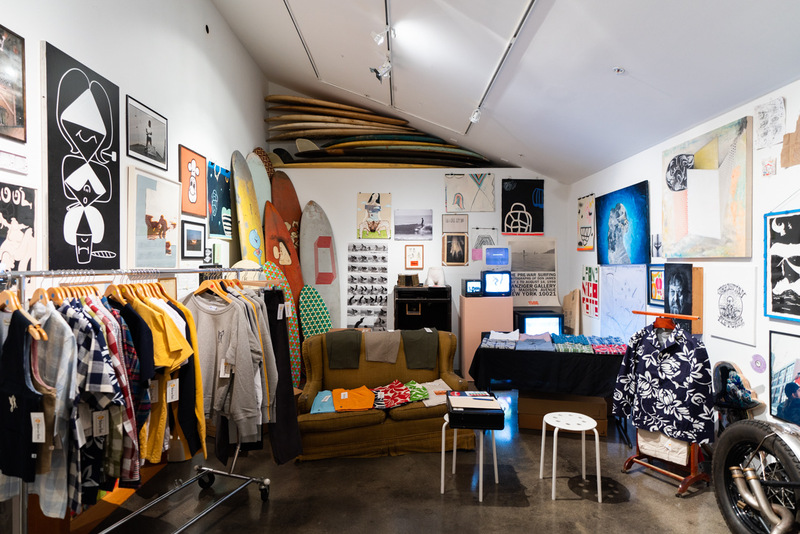 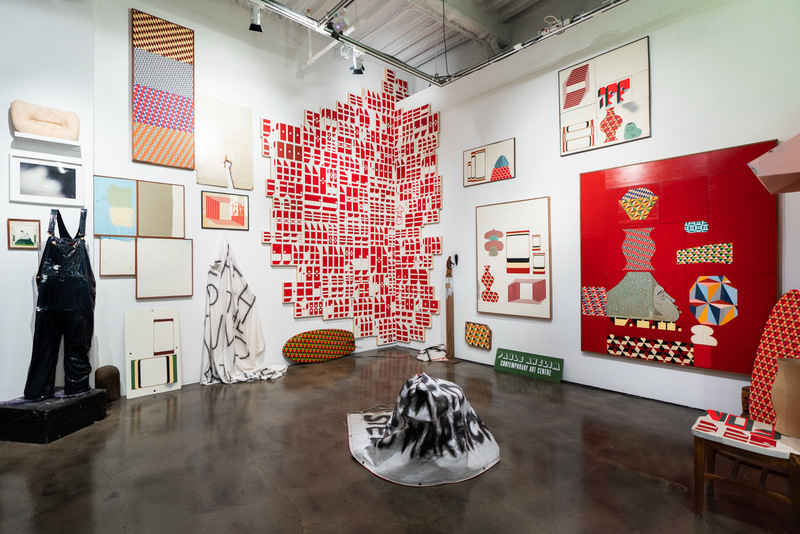 Tags: Barry McGee, featured, Installation, Museums, Santa Barbara, Sculpture, Shows & Events, slider-featured.